NAPA Auto Super Store Logan City is your one stop Car Care Shop with everyday value car care brands Armor All, Kitten, Polyglaze, So Easy, Chemtech and T-Cut. Need Premium car care products? Look no further! We stock a massive range including Bowdens, Mothers, Meguiars, Surf City Garage, Autoglym, 303, California Custom and Juice. 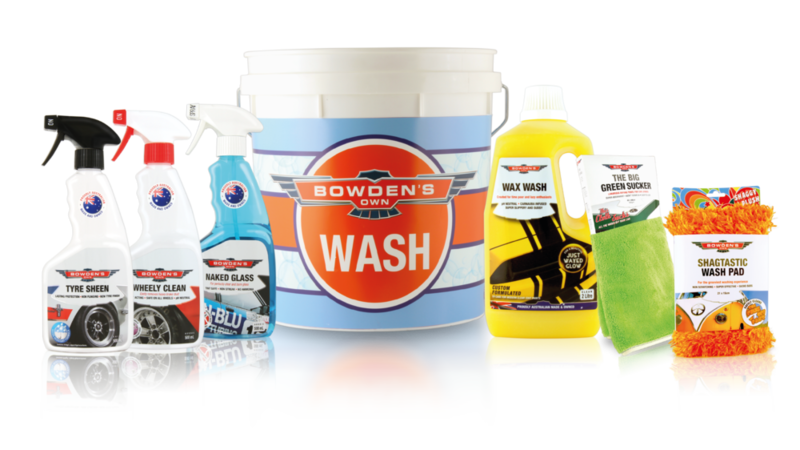 We are proud to offer what is arguably Australia’s largest range of Bowden’s Own car care products. You will always find the latest and greatest from the Bowden’s team including awesome Know how tips both in store and on our Social Media pages. Our extensive selection of microfibre cloths, chamois, brushes and sponges will have you detailing like a pro! There’s only one thing that makes NAPA’s offer even better and that is that our sales team have the Know How to give you the best advice to suit your car. We'd love to see you and your pride and joy down at the store !